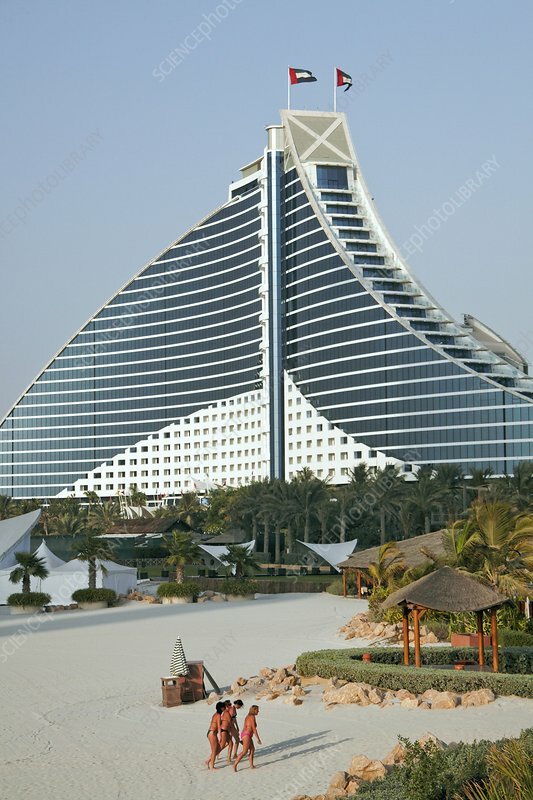 Jumeirah Beach Hotel, Dubai, United Arab Emirates. Completed in 1997, this hotel rises to a height of 104 metres. It is located in the Jumeirah beach region of Dubai's Persian Gulf coast. Built in the shape of a wave, it has 26 floors and nearly 600 rooms. The flag of the United Arab Emirates is flying from the top of the hotel.